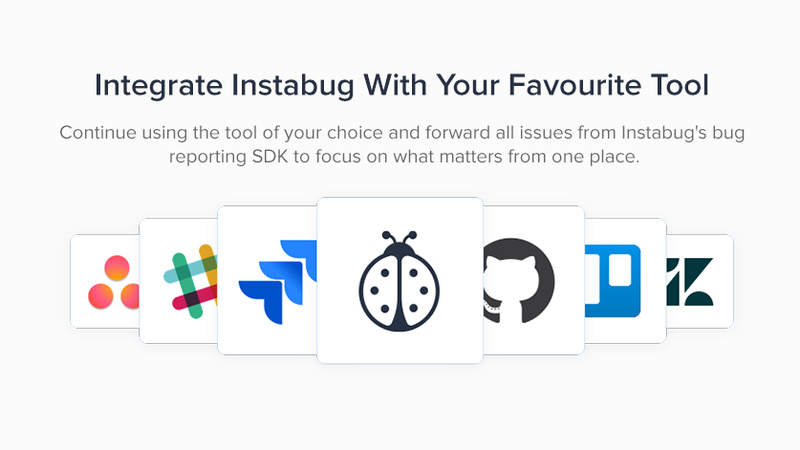 Today, as an early Christmas present for all mobile developers and bug squashers, we bring you the Instabug Integrations Hub! 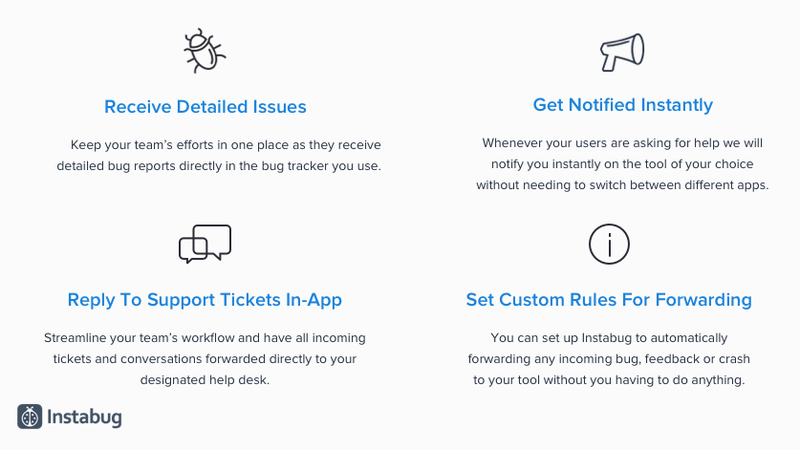 The new landing page features our integrations with third-party tools commonly used with Instabug: the best bug trackers, project management tools, CRMs, and more. With third-party integrations, our users are able to streamline their workflow by setting forwarding rules in Instabug to their tool of choice. For example, they can automatically get notified on Slack when bugs are reported, or receive detailed issues and reply to support tickets directly through their support desk software. We can’t help developers create better quality apps unless we help them speed up the process of squashing bugs. We found out that over 6,000 of our users integrate with third-party tools, which encouraged us to make all of our integrations easily accessible in one place. Check out our Instabug Integrations Hub now.